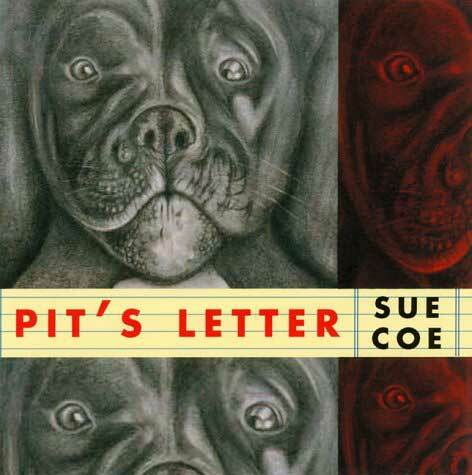 How to order Sue Coe's recent books: Dead Meat , Pit's Letter , and Bully! -- use the order form below or e-mail directly, putting Sue Coe Direct in the subject line. We usually respond within 24 hours or less. Please check the box beside the title(s) you would like, and fill out and submit the form below. If you have any additional questions, or want more than a single copy of a book, please make a note of that in the "questions/comments" section. 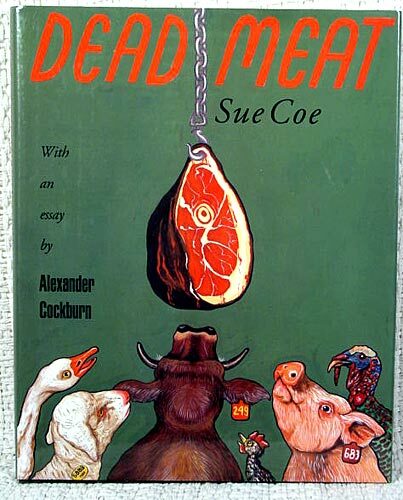 First edition (hardcover) Dead Meat, with introductory essay by Alexander Cockburn. Four Walls Eight Windows, New York, 1996. Pit's Letter:The Tragical Tale of the Rise and Fall of a Vivisector. Four Walls Eight Windows, New York, 2000. 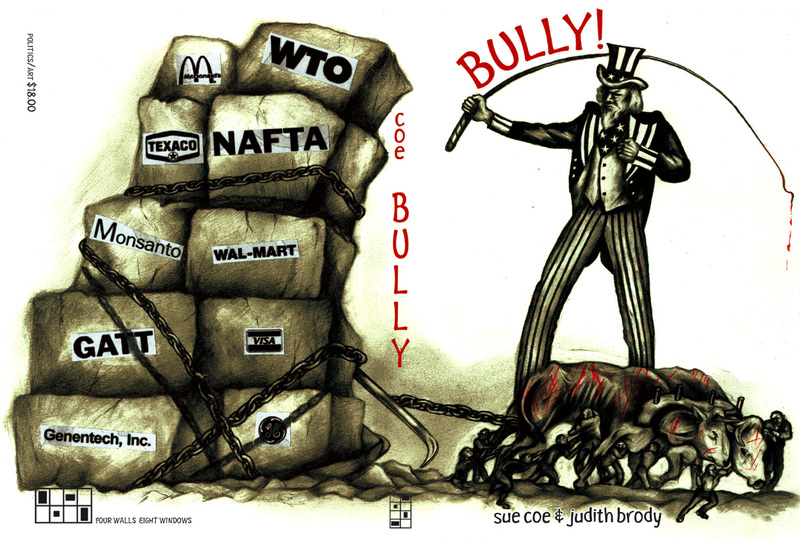 First edition (hardcover) Bully! Master of the Global Merry-Go-Round Four Walls Eight Windows, New York, 2004. If you prefer, you may e-mail your questions/order directly to graphicwitness@gmail.com to confirm availability and make payment and delivery arrangements.